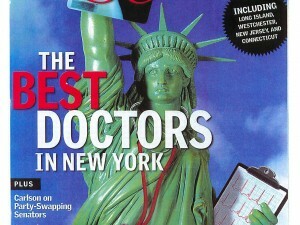 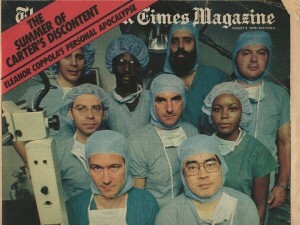 Dr. Jelks was honored to be listed in the New York Best Doctors List for 2002. 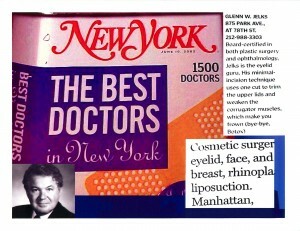 875 Park Ave at 78th St.
Board certified in both plastic surgery and opthalmology, Jelks is the eyelid guru. 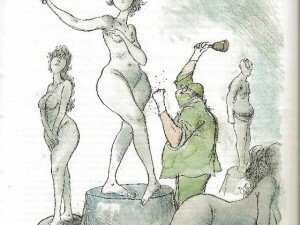 His minimal-incision technique uses one cut to trim the upper lids and weaken the corrugator muscles, which make you frown (bye-bye Botox).